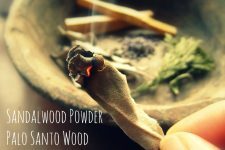 …smudging has been used by countless cultures, for millennia. When you smudge, you connect the present with a timeless spiritual practice — while igniting the passions of all the people who practiced before you. …it isn’t always as practical to light up a sage bundle when outside the comfort of my private space. 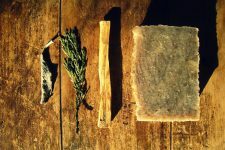 After creating my body smudge soap, I knew I needed something more! 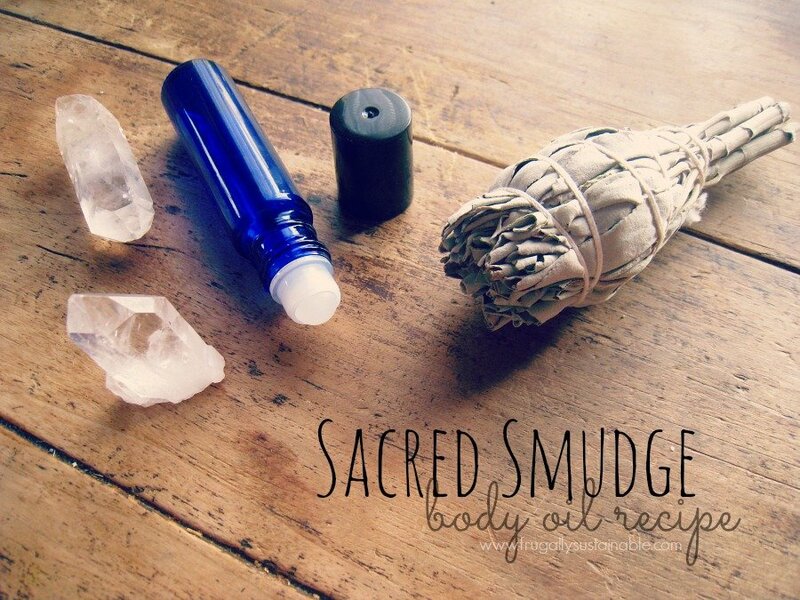 …Sacred Smudge Body Oil was birthed. And of course, I couldn’t wait to share the recipe with you! In a clean jar or glass beaker (I absolutely LOVE this glass beaker set), measure and add all ingredients (These transfer pipettes are super nice to have when working with small amounts of ingredient). Fill cobalt blue glass roll on bottles (I love these). This recipe is enough to fill approximately six(6) 10ml bottles. Apply topically by rolling on to hands, ankles, wrists, neck, chest, pressure points, etc. as often as desired. Carry with you on the go and reapply as needed and/or desired. my handcrafted Sacred Smudge Herbal Body Oil. DISCLAIMER: The statements made here are purely education and have not been approved by the Food and Drug Administration. They are by no means intended to diagnose, treat or cure or prevent any disease. This notice is required by the Federal Food, Drug and Cosmetic Act. Although plants and medicinal herbs are generally considered safe, it may not be true for everyone. 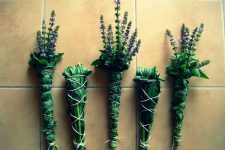 It is always the best practice and highly advised that you consult with a medical professional prior to the use of this or any other herbal preparation. This is awesome. My boyfriend has asked me to do some cleansing/healing rituals on him when his job gets too stressful and he’s down in the dumps, but he can’t be around incense or sage or anything that smokes and burns, or he can’t stop coughing. 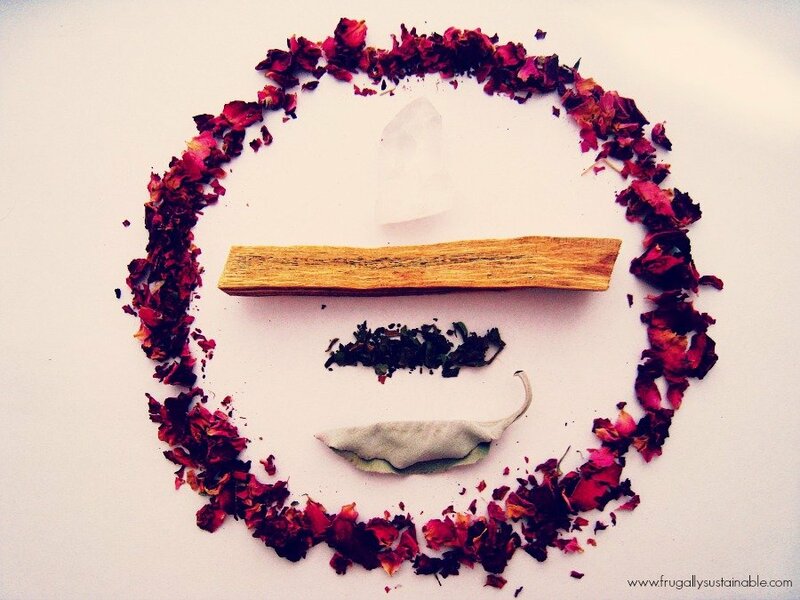 I’ve thought about doing a smudging oil and this has kind of inspired me to get started. Thank you! Oh, quick question (yeah, I’m full of em…)- I like the tip about infusing with a crystal. Do you use a specific moon phase? I love your questions Meurramya:) Keep ’em comin’ sister! So as for the crystal infusion + moon phases…I like to use the sunlight method for the protective + strength energy. Letting it set in sunlight as long as I feel necessary (no less than 6 hours). I like to do this during the days of the waxing to full moon phase. I also like to use the moonlight method for the positive emotional, love, and intuition energy. I allow the crystals to infuse in the light of the full moon:) Usually, I’ll only use one method or the other depending on the energy I intend for the remedy…but for this smudge oil, I think it’s beneficial to use a combination of both the solar + lunar method. What a simple idea! One could make this into a balm as well. I am going to tweak the essential oils a bit and add Frankincense. Thank you for the amazing recipe to jump off from! It will be easier for me to use on my fur-babies and clients than burning smudge bundles or using spray. Well done! Thank you Charlisa for your kind words:) Your version of the recipe sounds lovely as well! And yes, add a wax of your choosing to create a balm…brilliant! I made this amazing recipe and did, indeed, add the Frankincense and it is wonderful! In addition, I added a chip each of bIack tourmaline and clear quartz for added energy/protection and amplification. I showed it to some friends and they all want some! Thank you for the links for the roller bottle containers. I used some empty EO bottles and roller ball fitments I had on hand and they work great, but I will run out soon. Now I am off to dig up other treasures on your site! Be well and whole! Hi Andrea, just wondering why you used those specific essential oils in this recipe and what do the do for the body? Love, Love, Love this! (You could aslo include a tiny quartz crystal in the roller bottle for added energy!) Awesome idea!